The Osun State Governorship Election Petition Tribunal sitting in Abuja has held the petition filed by the candidate of the Peoples Democratic Party (PDP), Isiaka Adeleke and the PDP, challenging the victory of the All Progressives Congress (APC) and Governor Gboyega Oyetola at the September 2018 governorship election, lacked merit. The PDP and Adeleke, had filed a petition asking the tribunal to declared that he polled the highest lawful votes and should be declared the winner. A three -member panel of the tribunal dismissed the objections filed by Gov. Oyetola, APC and the Independent National Electoral Commission (INEC). 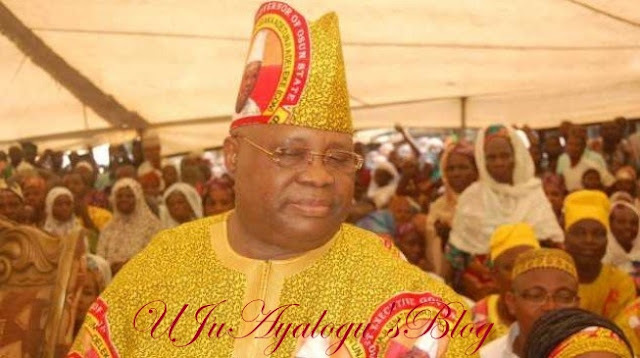 Adeleke and the PDP in their different petitions had urged the tribunal to declare that he scored the highest lawful votes in the election and should be declared as winner. In this instance, the tribunal held, INEC failed to explain or justify the alterations and that they failed to call any witness to justify the alterations.